Leather in its natural form is incredibly strong, and like our own skin, is meant to last a lifetime. As we age, our skin develops imperfections over time in the form of stretching, scars, and wrinkles. Many manufacturers attempt to eliminate these flaws by removing the surface layer of the leather. While this may improve the hide’s outward appearance, it diminishes the quality. 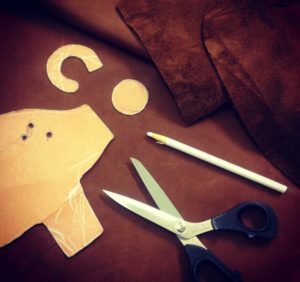 Our handcrafted leather animals are made solely from full grain leather – hides that have never been buffed or sanded, retaining the natural beauty and unique character of the skins. We do not hide the scars and wrinkles in the leather and aim to use the markings on our animals where we feel appropriate. Our animals are made from cowhide leather sourced from within the United Kingdom. As no attempt is made to disguise any imperfections on the skin, we require our suppliers to sort “top grade” skins i.e. those with the least blemishes. This process of sorting high quality skins is becoming increasingly difficult in a world of intensive farming and reduced animal husbandry. 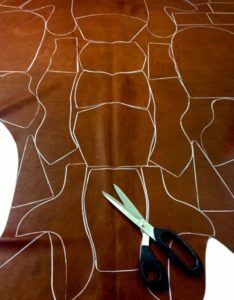 We purchase whole hides, as opposed to smaller sections of leather, and cut the pattern for an animal from the same skin to ensure consistency of texture, strength, and markings. As no two skins are completely alike, each animal will have individual markings that add to its character. The differences in texture/strength from one skin to another also explains how the size of an animal can vary quite considerably despite coming from the same original pattern. Our leather is chrome-tanned and drummed to a specific recipe to meet our purpose. 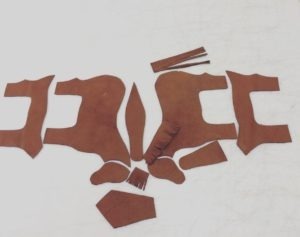 The resulting leather must have some stretch, but not too much, be of a certain thickness, but not too thick or thin, and have good fibre texture. We work closely with our tannery to achieve these results. Most leather goods for sale e.g. shoes, handbags achieve their colour through a process called pigmenting. 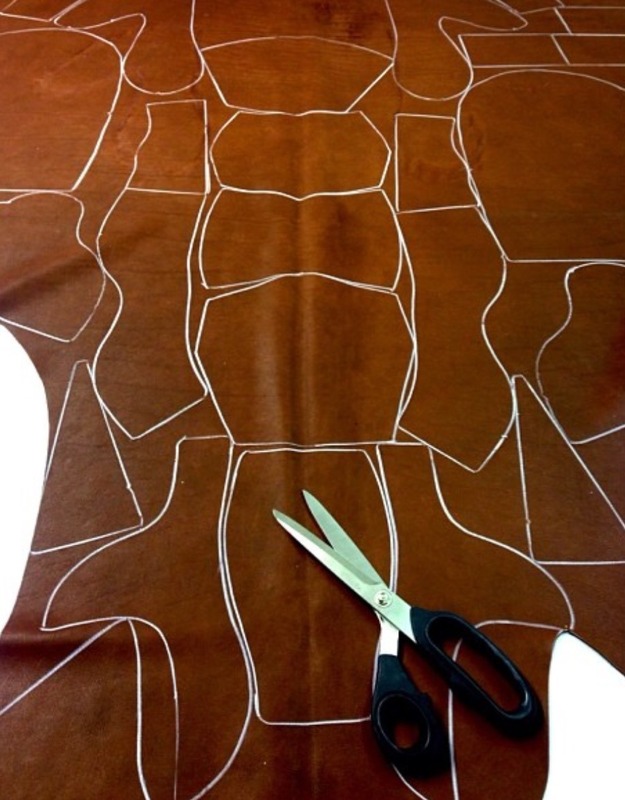 A synthetic layer of colour is applied directly to the top of the skin giving the leather an even “flat” colour. This process masks all of the natural markings on the hide and removes the character of the leather. Our leather is coloured through aniline or semi-aniline treatment in which dye is soaked deep into the pores of the leather and the surface left unfinished. Because the colour is actually within the leather rather than just on top of it as is the case with pigment leathers, the aniline leather’s colouring will continue to develop and transform as the leather ages.